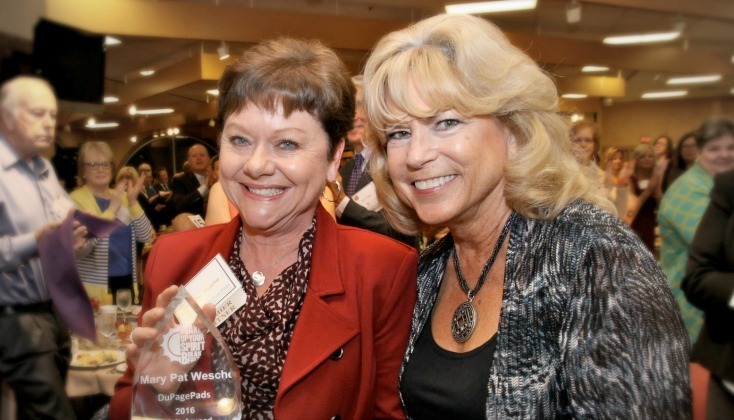 Mary Pat has worked with DuPagePads for more than 15 years, including serving as a past president of its Board of Directors and chair of its Program committee. She currently serves as an advisor to the Finance committee and a board advisor and member of its Program committee. Upon joining DuPagePads, Mary Pat supported expanding services beyond overnight programs to permanent housing initiatives. As a longtime sponsor of DuPagePads, Forum supports the organization and its mission to end homelessness. Forum congratulates Mary Pat on receiving this award for her many charitable contributions and dedication to helping the local community. Bringing together civic, faith-based and social services groups, local businesses and human service agencies, DuPagePads addresses the needs of the homeless population with the support of more than 4,000 volunteers. For more information, visit www.dupagepads.org.